This post relates to a discussion on a whole of school approach to spelling. The original poster is an existing user of PLD resources for stage 1, grade 1 and was required to assist the school with expanding the PLD across the entire school. Dear Diana. Our school is currently reviewing our spelling practice. I have been asked to share with the staff some information about spelling following the PLD scope and sequence. Do you have a handout that outlines what is taught at each year level in spelling using the PLD approach? We do have some of the older books with this information but I was hoping that you may have one updated handout available. Dear JB, Thank you for your support and I am thrilled that the PLD approach to literacy resonates with you. 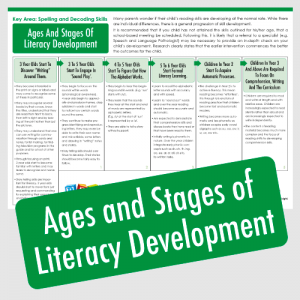 In terms of what is taught at each year level in spelling using the PLD approach, try our free Ages and Stages of Literacy Development Fact Sheet; a check-list of phonics, decoding, spelling and sight word concepts for Year 1 (Stage 1) to Year 6 (Stage 6). These check-lists provide a scope and sequence or an overview of skills to be taught in the primary school years. How to establish spelling contracts/activities to explicitly instruct the word lists. Finally, you will find a world of useful free resources in the Milestone and Factsheets section of our website. These are located in the orange panels at the bottom of each Age, Skill and Curriculum page of our website. I trust this helps and if you have further questions please don’t hesitate to contact me again.